Once upon a time I had a love. It was like a fairytale and like a sweet dream. Like an angel's touch in my tear and like a tender kiss next to my every silly fear. But now I am standing at the edge of the dream with empty hands just my own. I have nothing in my life and in my soul. My one and only paradise was you with me. I lost my love, my dream, my secret garden, I lost my sweet April, my mind, you and me. 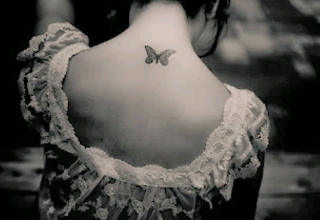 I just feel like a white butterfly and I wanna fly in love with love, again and again. Αναρτήθηκε από koalakia στις 12:40 μ.μ.